There are three things that come to mind when I think about Belgium – mussels, the mussels from Brussels (aka Van Damme) and beer. Lured by a special promotion this month of fondue served with beer, I could’t say no. The belgian is perhaps the single most popular bar/restaurant in Doha. On any given night, it’s packed with a mixed crowd having a beer or sharing a pot of mussels. I have to admit I don’t go there often, but this visit changed. 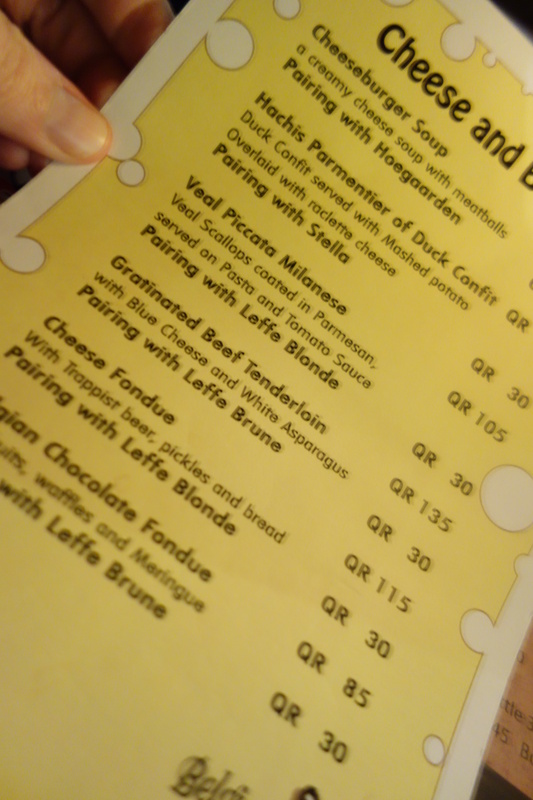 What I didn’t know is that the menu was all about cheese, not just fondue. There was a cheeseburger soup, duck confit with raclette and a veal milanese. But we were there for the fondue. 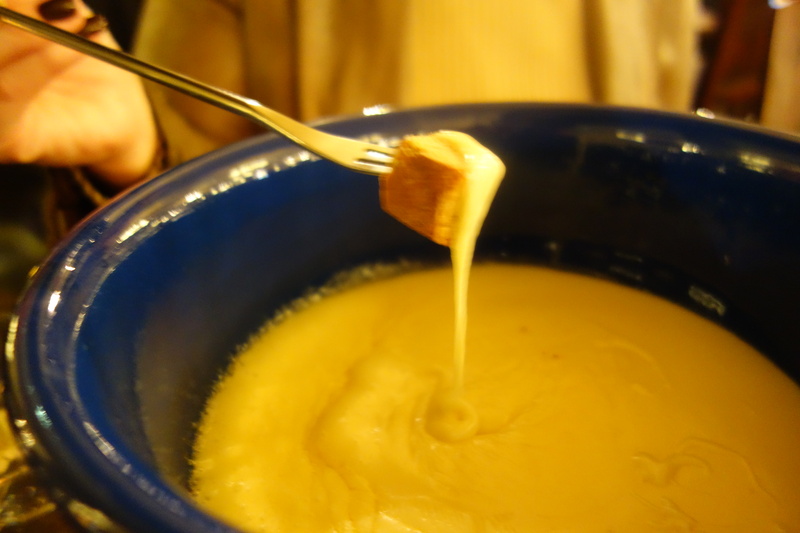 Fondue comes from the French fondre, “to melt,” and that’s exactly what it is. It is a blend of cheeses served in a communal pot (caquelon) over a portable stove (réchaud), and eaten by dipping long-stemmed forks with bread into the cheese. Usually it is made with kirsch but the chef took a different route on this using a Belgian Trappist beer to give it a boozy kick. 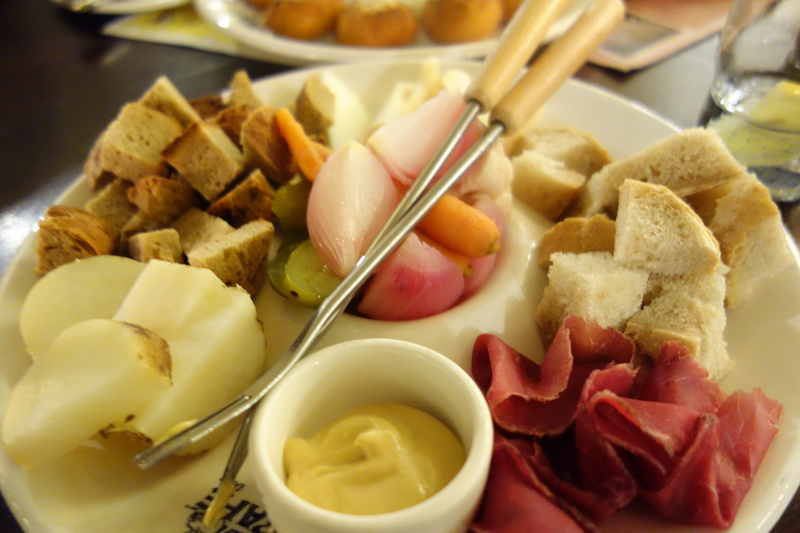 It was served the traditional accompaniments of cubed bread, pickled vegetables, potatoes and cured meats, on a chilly Doha evening this was the perfect midweek pick up. For us small town gals, the most popular accompaniment was the sliced pears, the crunchy sweetness counteracted the unctiousness of the cheese. 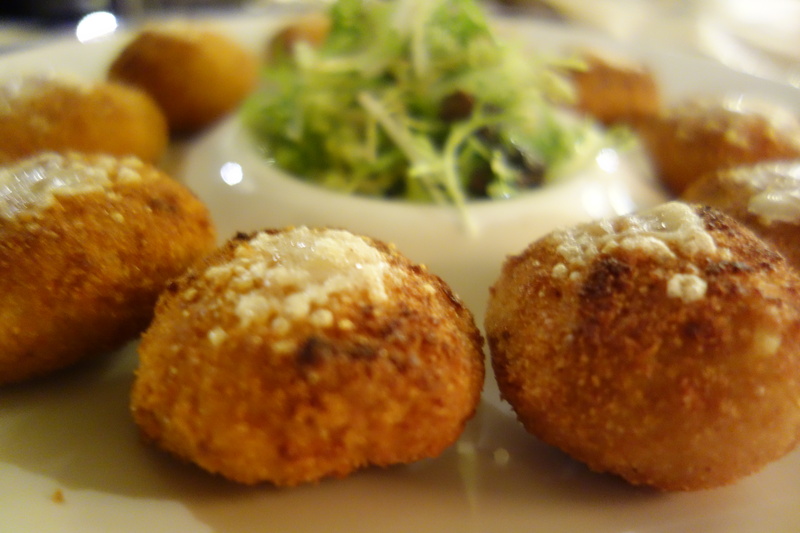 As a gal cannot live on fondue alone, we ordered off the main menu the cheese croquettes. Crunch but not as oozy as we had expected, it rounded out the meal but were not necessary at the end of the day. Each meal comes with hot, fluffy bread rolls and the drinks menu, as would be expected at a pub, is extensive. Not in the mood for beer, we opted for the house red which was robust and smooth. I have to admit, I had always been a bit of a snob about this place. I had it pigeon-holed as male drinking hole. I was very wrong. There were several tables like ours of women out for a good meal with friends, groups of colleagues and the odd single diner. The vibe was relaxed, friendly and buzzy and the service exceptional. I came the fondue and left a fan. Verdict: One of Doha’s most popular watering holes is more than a just a pub. If you want some traditional European food with a Belgian/Doha twist and a great night out, this is the place for you.